There’s nothing worse than arriving at your hotel after a long stressful day of traveling only to find out that the hotel facilities and polices were misleading. It’s at that moment that you have to make the choice to pack up and leave or live with the lie. In both cases you probably have to shell out additional money which is your punishment for trusting their ads instead of acting like Sherlock Holmes. There are many areas where hotels exaggerate or mislead their clientele, but my particular quandary and most recent disruption refers to hotel’s “pet friendly” policies. 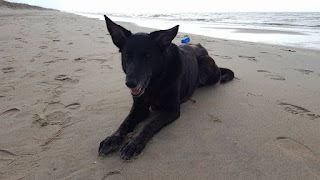 My husband and I planned a trip to visit Brussels and the Belgian coast along with our 90lb German Shepard, McKayla. As the designated travel agent, I did the normal research, scanning reviews on booking.com and TripAdvisor before settling on the Courtyard Brussels EU and the Hotel Mercure Oostende. Both hotels were presented as pet friendly and as we are familiar with both chains, I didn’t hesitate to reserve a room. 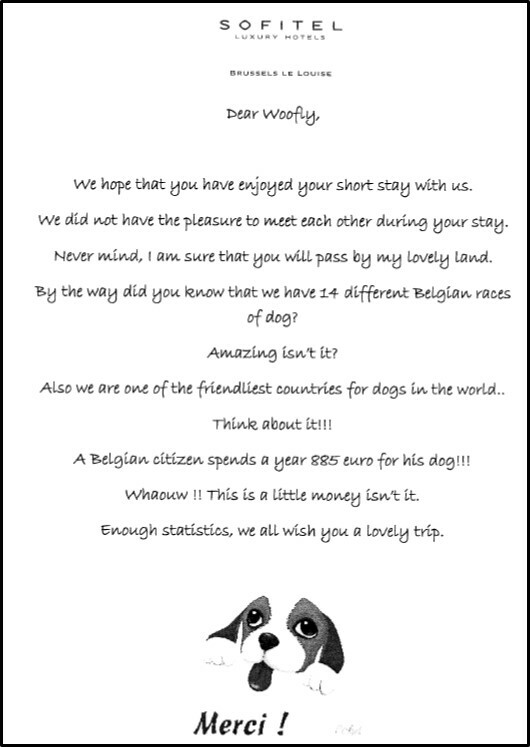 It wasn’t until about a week before that a friend told me about her painful experience with so called pet friendly hotels in Brussels, how she wasn’t allowed to leave her dogs unattended at any time, and the hassle the hotel management gave her. Not wishing to encounter the same problems, I quickly called both hotels to inquire about the specifics of their pet friendly policy. After speaking with the receptionists, I disappointingly discovered that both hotels had similar strict policies that typically mislead pet owners, like myself, to believe that our pets will be treated as members of the family. The Marriott does not allow guests to leave the hotel without their dogs, and the Mercure does not allow guests to leave their rooms without their dogs. So at least at the Marriott we would be allowed to eat breakfast in the hotel and leave our dog unaccompanied in the room, but the Mercure told us that we would have to bring our dog with us to the breakfast dining area. Please tell me how these policies are considered pet friendly? As pet owners traveling with our senior dog, taking McKayla with us 24/7 is unrealistic and unreasonable. As a general consensus, in my opinion, which is shared by other pet owners, hotels with strict policies such as these should not call themselves pet friendly, but instead “pet tolerant”. Going on vacation should reduce stress not increase it. If hotels are worried about damage or barking then they should simply prohibit animals from residing in the hotel instead of misleading you to think that they will accommodate you when they won’t. Needless to say we avoided this disastrous headache by canceling both reservations and booking a TRUE pet friendly place that would welcome all of us. Last year I wrote an article on the pet friendly policies of the Sofitel Luxembourg Le Grand Ducal, and based on this decided to book the Sofitel Brussels Le Louise, and B&B Villa Verde in De Haan. 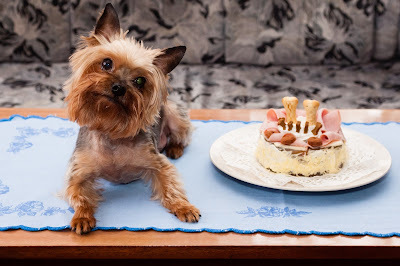 The Sofitel Brussels Le Louise is a 5-star accommodation and has no qualms about accepting pets of all kinds and sizes. The concierge is responsible for assisting the guests with any special requests, and constantly go out of their way to please. For example, we normally mix in fish or meat with McKayla’s dry food but forgot to bring some. I ordered a piece of plain salmon with no seasoning from room service and there were no issues when I mentioned that it was for our dog. The hotel grounds are beautifully designed and dogs are allowed in most of the common areas of the hotel. Special requests like dog walking can be met, the hotel has signs to place on the doors to let the staff know when dogs are inside, and they also gave us the code to the elevator to access the ground floor instead of having to use the escalator. I spent time talking with the concierge, who was extremely nice, about the different types of animals the hotel had welcomed over the years, clients unique requests, and other funny stories. Upon our departure he presented us with a lovely goodbye letter and gift basket with toys and treats for McKayla. I was truly touched. 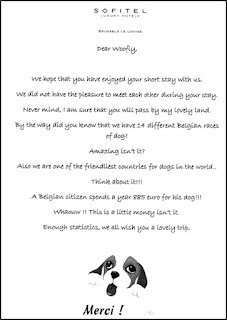 Overall our stay was better than expected and I wouldn’t hesitate to book again or recommend it to any pet owners visiting Brussels. 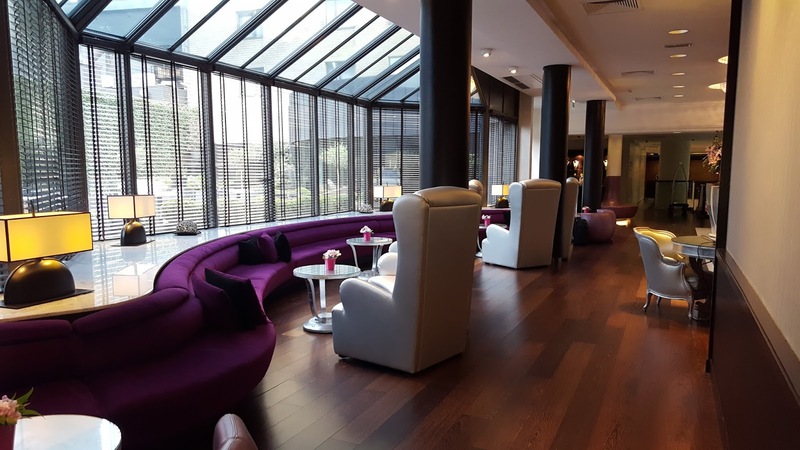 The Sofitel Brussels Le Louise is a true pet friendly hotel. They believe that pets are part of the family, treat them as such, and never hesitate to lend a hand. Our next stop was the lovely city of De Haan on the Belgian coast. Before booking Villa Verde, I checked with the owners to make sure that dogs were permitted to stay unattended in the room, and they assured me that this was accepted. 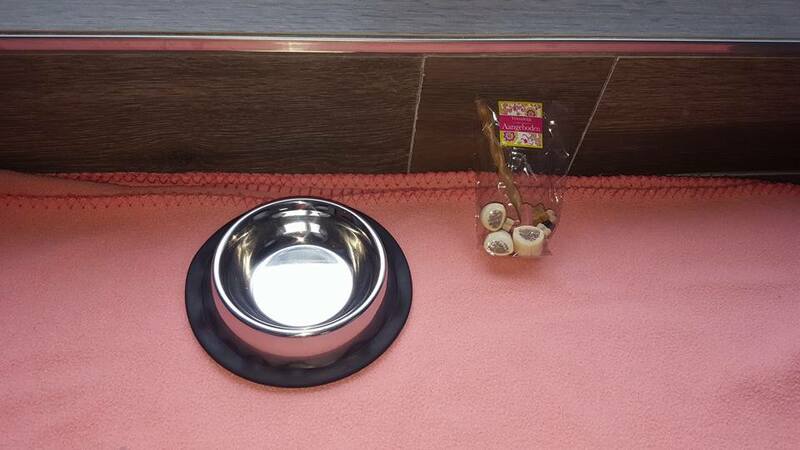 Upon arrival we were surprised to find that that they had placed a blanket, water bowl, and dog treats in the room for McKayla. The hotel was fantastic, the room spacious with an enormous soaking tub in the center, private terrace overlooking the city, and the location was right in the city center just 10 minutes’ walk from the beach. The owners were extremely nice and took the time to point out walking trails and dog friendly beach locations. The only disappointment was the fact that they were fully booked when we opted to stay an extra night. Their hospitality was genuine, we highly recommend this B&B and will definitely be back in the future. In my opinion, pet owners do not go looking for hotels to intentionally destroy, so it’s insulting to be treated as such. In our case, and many of the pet owners that we know, we bring our pets along because we want them to enjoy the vacation just as we intend to. That being said, if you have a 10 year old dog with arthritis, it’s not fair to make them walk all day long without the option to rest quietly in the hotel room just because the hotel is afraid of potential damage or claim there are security risks. There are many who are traveling with pets for the first time and may not think to ask such detailed questions. Misleading clientele by advertising the property as pet friendly when in fact they are just pet tolerant doesn’t benefit the guests and won’t make them want to return. If the policies for pets are so stringent then it’s better not to allow them at all. Pets are part of the family and if the hotel policy doesn’t embrace this belief then they shouldn’t label themselves as pet friendly. During her five years of Psychology studies, and after getting her Masters in Psychology, Natascha Van der Eecken still felt like something was missing. Natascha was 10 when she got her first dog, Loona, and the unconditional love, profound moments of joy, and feelings of comfort that she experienced with Loona forever changed her. "I always felt there was something missing during the courses, and for me that was the impact, the positive influence of animals and more specifically of dogs, on human health. I had my first dog when I was 10 years old, Loona, and I learned a lot from her. She gave me comfort, love, she was there in bad and good moments, so that's where I realized what an impact an animal can have on your life." After finishing her studies, Natascha searched for alternative Psychological methods as opposed to simply practicing the more classical Psychology. She focuses on the present and future more than analyzing the past, and in most cases, a few coaching sessions are often enough. "There are really a large range of psychotherapies, but I like it when it's solution focused. I prefer to focus on the present and the future, so I'm not only going to look at what is the problem, but what are you good in, what are your resources, and how can we make it better now and for the future more than really analyzing everything that happened in the past years." Natascha's dog assisted coaching practice is for adults and children, and in either case the dogs can have a passive or active role. A passive role means that a dog is psychically present in the room during the sessions, but does not interact much with the client. Some people feel more comfortable when there is a dog present that they can pet, and it's also proven scientifically that a dog's presence has an influence on physiological matters such as a person's heart rate. In most of Natascha's sessions, the client's prefer that the dog has an active role, and are then asked to perform a task with the dog. The task can be anything from taking a walk with the dog outside on a trail, on or off leash, or in the case of children, Natascha may ask them to teach her dog a trick. For example, a client with a tendency to be a perfectionist is asked to take the dog for a trail walk. Because the client is doing their best to try and perform the task as perfectly as possible, Natascha observes that the task is becoming increasingly difficult and stressful for the client and dog. After the task is over, Natascha would then begin the conversation by asking the client how they think the task went, giving her observations that trying to perfect the task seemed to cause stress and difficulty, and asking if this trait and feelings are something they recognize in their daily life. "I look at what the person does and ask them how they think it went and then give my observations. I always try to make a link between what happens in the session and the daily life of the person". Getting children to express their feelings can be challenging, therefore one approach Natascha uses is asking them to teach her dog a trick. This tends to have a positive impact on their self esteem when they see that they were successful. Natascha also has emotion balls (happy, sad, mad, etc.). The child is asked to throw the balls and whichever one the dog returns with is the emotion they discuss first. "It's a way to start to communicate with the child or adult. I say to the child that I am sad when this or this happens..., my dog, she is sad when this or this happens..., and when do you feel sad? It's a way to start a conversation by playing with children. A lot of children don't can't express what they really feel in words. So my approach is also experience based, I want them to do things and experience how it is with alternatives". 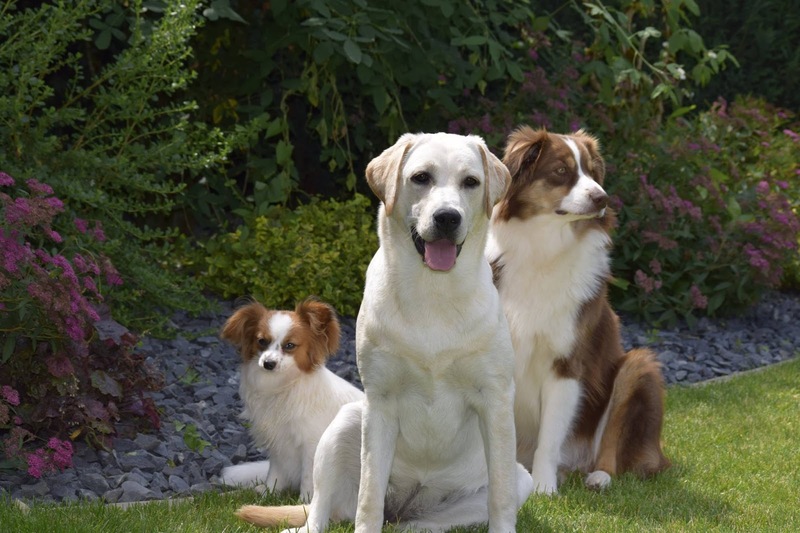 Natascha has three different dogs with distinctive personalities. They are trained in basic obedience, but they did not receive any special training for their dog assisted coaching role. The dogs are simply themselves and Natascha uses the reaction of her dogs to interpret how the clients are feeling and focuses on this link of communication. 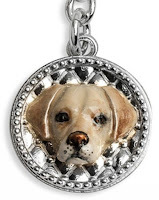 In her view, having the perfect dog does not allow her to gain the insight she needs in order to help her clients. For example, if a client is asking the dog to jump, and the dog refuses, then she can use this as an opportunity to gain insight by asking her client how this refusal to perform a task made them feel. But if she were to train her dogs to jump on command, then this approach wouldn't work. "Dogs react on how we feel and they are very sensitive, they feel our emotions before we do, mostly. I really use the character of my dogs, they are very different. I see what the dog does, I see what the person does, and I ask questions about it and try to make links to the difficulties they experience". Natascha offers her clients a wide range of services. If a client is not comfortable with dogs they can simply choose normal coaching. 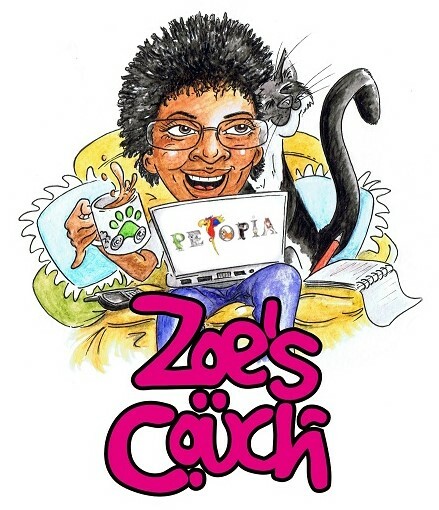 She also works with clients who have developed a strong fear of dogs, or children who want to learn how to interact with dogs in a responsible way. 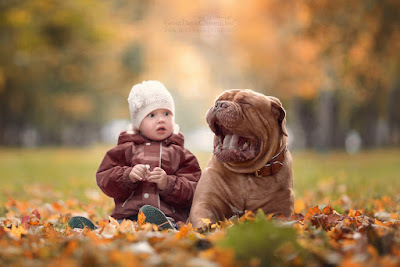 "Most people who are afraid react in a certain way that makes the dog afraid. So I teach people how to read the language of the dog and how to behave themselves so that they don't attract the attention of the dog". For those who are elderly or may be isolated and living alone, she offers visitor dog sessions where she brings her dog to the client's house or asks them to meet her somewhere so they can talk and spend time with the dog. The Dolce Vita Comfort Dogs website has been online since November 2016, so the business is very new. 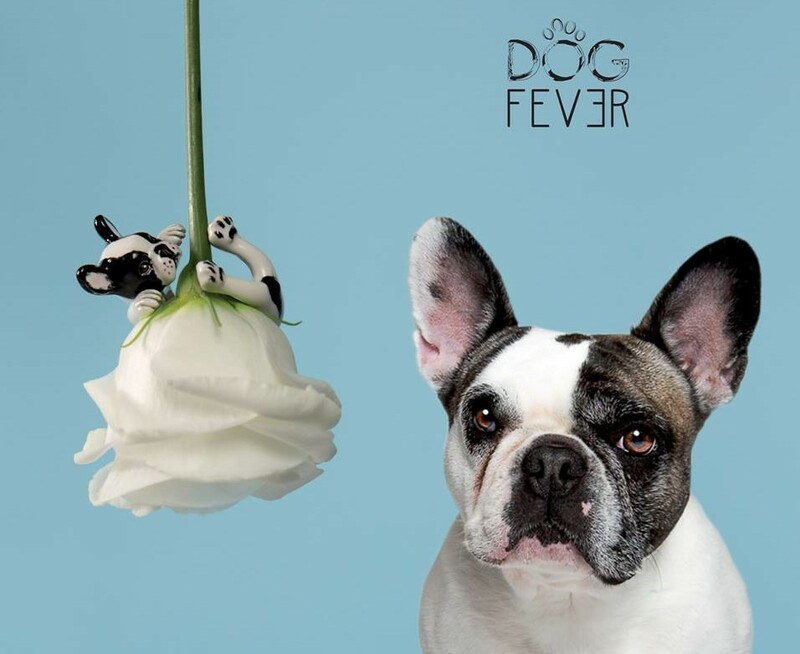 As dog assisted coaching is a new concept in Luxembourg, Natascha is reaching out to medical professionals and introducing her business in hopes of spreading the word. I have very modern taste and when I adopted my Westie puppy, Mikey, three years ago, I was looking for dog bowls and a dog bed to fit the modern, minimalist look of my condo. I found there were very few options out there. And most which I did find, which were advertised as modern, could hardly be classified as such. So I decided to start my own business creating pet furniture and products that were truly modern under the brand modern.PET and creating the storefront Ultra Modern Pet from which to sell them. 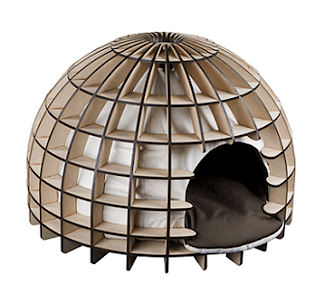 I’ve since collaborated with many other private designers spanning six continents, and Ultra Modern Pet has quickly grown to become the world’s #1 outlet for cutting edge pet furniture and products. I first had to do market research on various types of items and see what price range high-end products of that type were selling for, then use that as a base to determine the types of materials which could be used. I didn’t want to create products so costly to make that they would have to be sold at a price far outside of most people’s reach. Luxury isn’t as important to me as modern design. The feedback has been very positive. 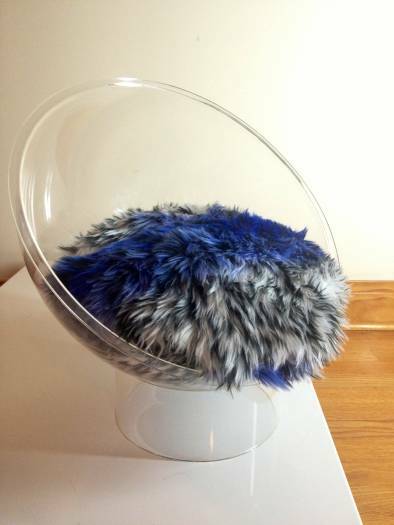 I’m always receiving emails from customers who love their new dog bed or cat house. First, as mentioned, a lot of the pet furniture whether in store or online marketed as “modern” are merely traditional items using that word as a marketing ploy. Ultra Modern Pet is the only pet retailer which can say that not just 50% or 70%, but 100% of its products are truly of either modern or contemporary design. Second, being a strong animal advocate, I wanted to accomplish more with my business than just generate profit. 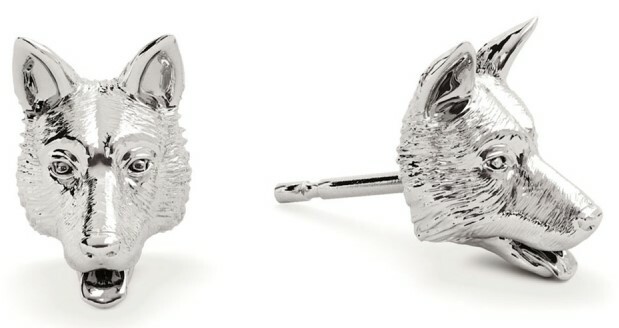 Therefore, a large percentage the of profits made off every item sold goes to animal charity. The primary charity Ultra Modern Pet supports is Farm Sanctuary because fighting factory farming through awareness, legislation and animal rescue is a very important cause to me as the thought of millions of farm animals spending their whole lives, from birth until death, suffering, is horrifying. And I think it’s important to our customers, knowing that part of their purchase is being used to help animals in need. The lifetime expectancy greatly varies as I have several different types of products. 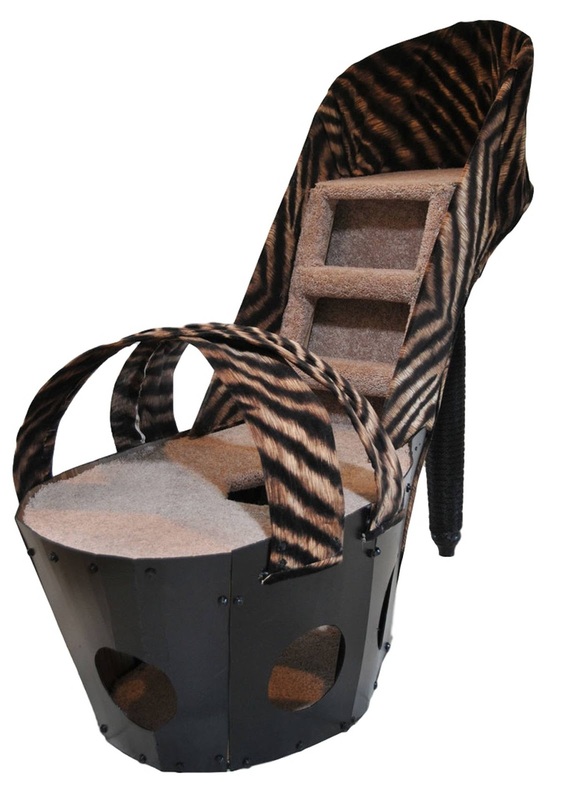 For instance, you’ll likely want to replace the dog bowl much sooner than you will the cat condo. 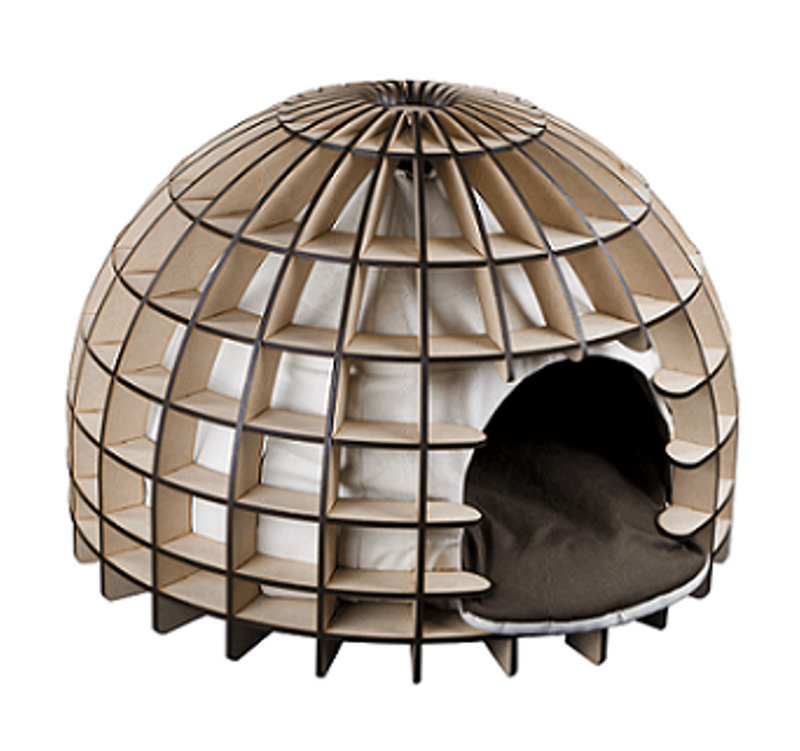 But in general, they last longer than typical pet furniture on the market due to their quality custom construction and the durable materials used. The plan is to further expand the modern.PET brand of dog houses, Bowhouse is the latest addition. And I was recently contacted by Petco. They’re interested in featuring several of our dog houses as their luxury line which is pretty exciting. We’re also going to start delving deeper into pet tech. This is a brand new area which is getting very big, very fast. 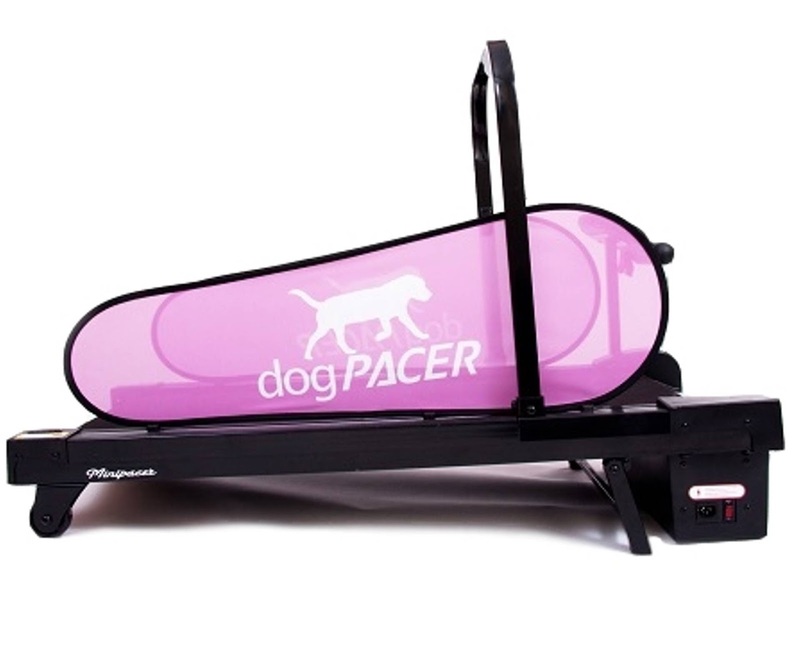 Technology is rapidly advancing even in the pet industry. 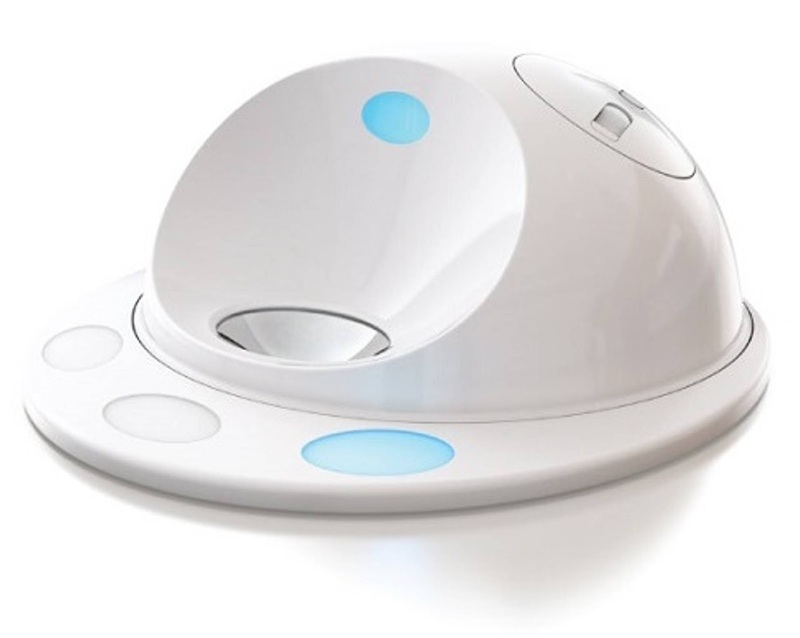 Currently Ultra Modern Pet offers some pretty unique products like a dog game console and pet video phone, but we’re looking to get a lot more cool stuff in. So expect to see much more pet tech in the coming years. 10. 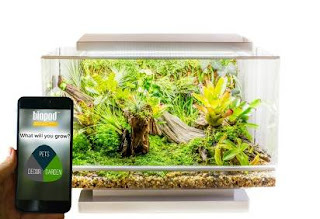 Do you consider your products to be sustainable in the market for the next 5 years? Or is there a continuing need for restyling or redesign? I definitely expect them to be sustainable five years from now, primarily because of the whole concept of my business.. ultra modern. These designs will be fresh and contemporary whether five or fifteen years from now. There will be no need to redesign because these designs will never be out-dated. They will grow though, and more designs will be added. But the whole concept of “ultra modern” is one step ahead of current trends, one step into the future. It will always be considered futuristic design, no matter the time period. This is summed up in our motto… ultra mödern pet :: the future of pet furniture. I consider life to be truly remarkable when an event that started out as a coincidence, turns into destiny. At least that's what happened to photographer Andy Seliverstoff. Andy has always had a passion and love for dogs, especially large breeds, and got his first dog, a Saint Bernard, over 25 years ago. After the dog passed away, Andy couldn't imagine life without another 4-legged companion, which is how he ended up with his first Great Dane. Together they started taking part in and photographing dog shows first in Europe, then around the world. This new found hobby grew quickly, and before Andy knew it, more than 10 years had flown by. Then in Summer 2016, the coincidence occurred. Good friends of Andy asked if he would professionally photograph their 2-year old daughter, Alice. Andy agreed, and they decided to conduct the shoot in a well known park. As it just so happened the couple also brought along their Great Dane, Sean, who ended up becoming part of the photo shoot. 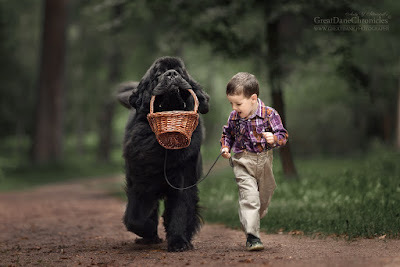 On a separate occasion, Andy photographed another friend's gentle and sociable Newfoundland Dog, Ringo, with the strong desire to capture the communication between children and dogs. After the two photo shoots with Alice and Sean, Fedor and Ringo, Andy decided to post the photos on his Facebook page. What he wasn't prepared for was the astounding and touching reaction that came from his audience. Friends and strangers both loved the photos, and appreciation quickly turned into requests. It was then that Andy realized that such a small coincidence had turned into destiny, and decided to continue his new project, Little Kids and Their Big Dogs. Photographing children, especially children so young, comes with it's own unique set of challenges that have to be cleverly overcome. 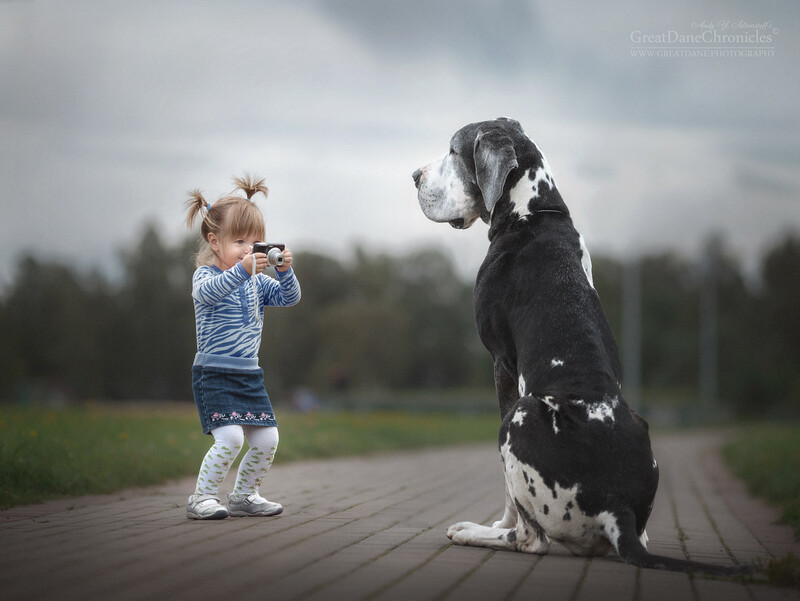 For example, when Andy was asked to photograph Alexandra and her harlequin Great Dane, he and her mother were both struggling to find ways to calm the capricious 2-year old. As it just so happened, Alexandra loved to play with electronics, and when her mother handed her a small compact camera, she started playing the game "photographer" taking pictures of her dog as the model. It was then that Andy went to work to capture these energetic, intriguing, and interactive moments of fun between dog and child. As the series continued to grow, Andy chose to start varying his approach. 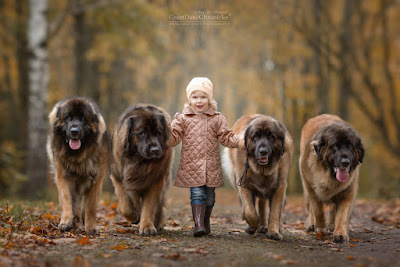 3-year old Lisa and 4 Leonberger Dogs was the first session where more than one dog took part. Andy also conducted action shoots to again capture the communication, love, and joy between children and animals while playing sports. I first came across these photos on Facebook, and as a dog owner, instantly fell in love with their beauty and eloquent innocence. Curious to know more about the photographer and inspiration behind these photos, Petopia contacted Andy for an interview. 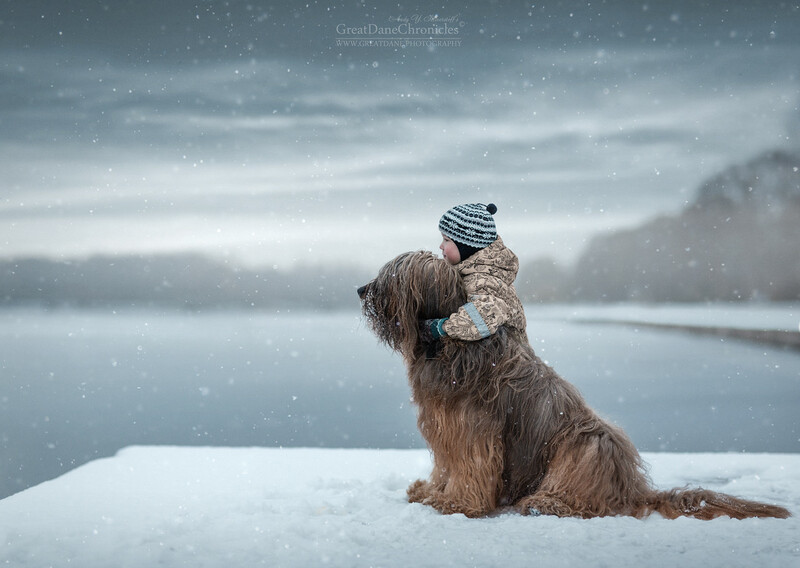 "The main priority for this photography series wasn't just to make a beautiful photo, but to achieve and show communication and condition of contact between child and animal." Andy recalled the exact date that the series began, 24 July, 2016. The locations for the photo shoots are all natural places where the models usually walk with their dogs. In the future Andy would love to photograph a Komondor, which is a Hungarian sheepdog, but also many more large breeds. 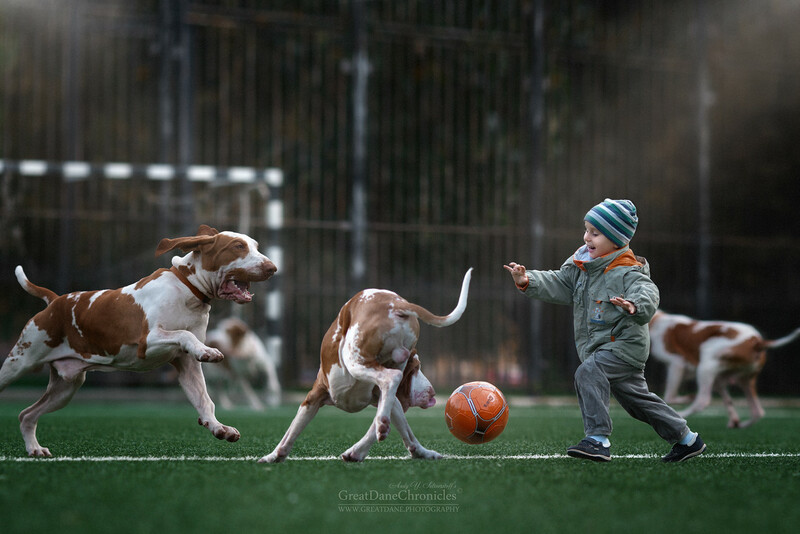 He is, however, cautious about photographing Terrier breeds with children, unless the child grew up with the dog. 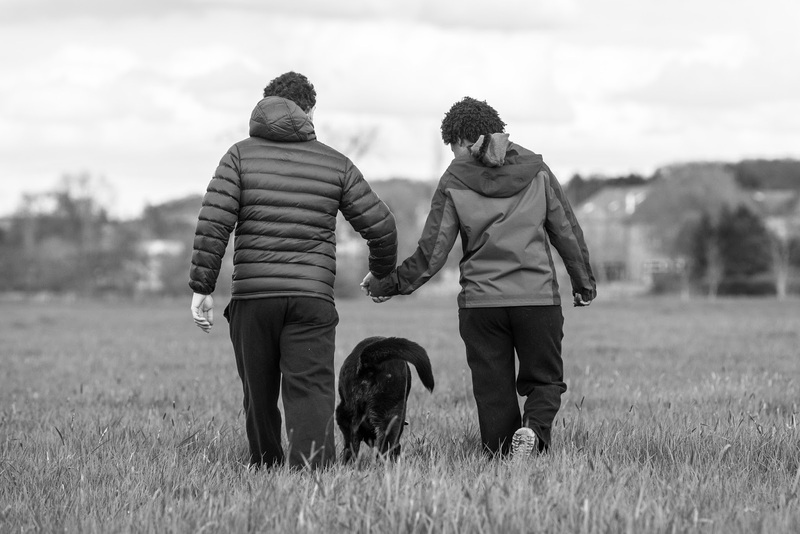 A common re-occurrence Andy is noticing is that families do not often introduce large breed dogs when they have small children, the exception being that the child was born into a family that already had a large breed dog. More often then not the children have grown up and moved away when the dogs join the family. So in these cases where owners still would like to participate in the series and request to have a photo shoot, they are instead bringing their grandchildren or children of friends and acquaintances, and therefore the dogs and children are already familiar. Andy is still in the beginning stages of this new chapter in his life, and is excited about the prospects to come. His plan is to take enough photos of children and large breed dogs to one day publish a book called "One Hundred Little Kids and Their Big Dogs". "The work with this series is at the beginning. 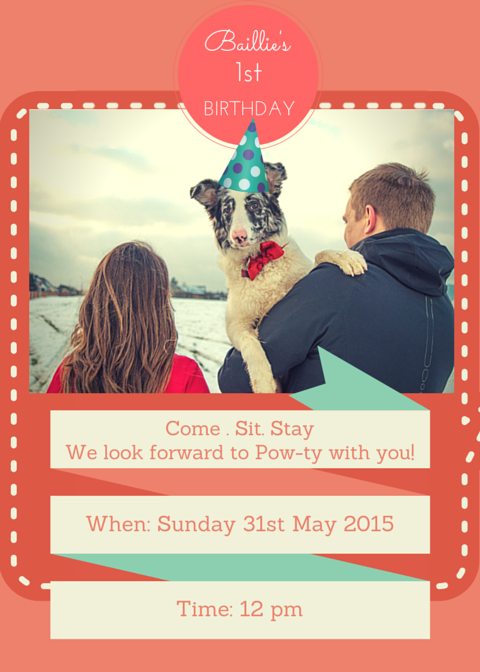 I hope to capture and present the maximum number of representatives of large breed dogs. 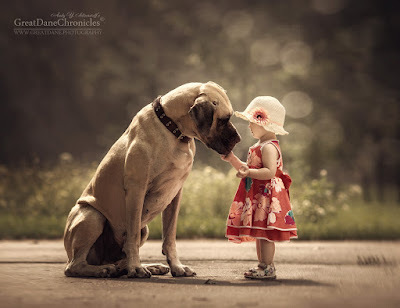 The love to dogs and children makes people better!"